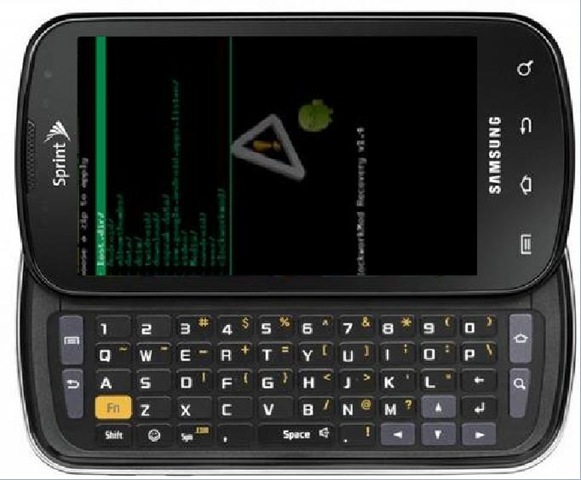 Last night, XDA user Firon posted a flashable, pre-rooted, deodexed, and zip-aligned version of the Froyo leak for the Samsung Epic 4G. This is good news because the Galaxy S phones are hurting for some Froyo love, and Samsung seems to be taking its sweet time with it. As with any leaked ROM, the DJ29 Froyo build for the Epic 4G is going to be anything but flawless. We actually first heard about it here at AndroidPolice a little while ago but decided it was much too buggy to unleash on the world. There were camera bugs and force closes all willy-nilly throughout the ROM and it was, frankly, just a mess. Now, it seems, the devs have ironed out many of the issues and, based on the comments, it is ready for public consumption (pretty much). I have been given permission to release this, so here's the leaked Froyo beta out for all of you users to test! I deodexed, zipaligned and pre-rooted it for your convenience. It's been fully tested and you should not need to clear /data to run this. This flashes a new kernel. We do not yet have a new modem, so you'll want to use the DI18 modem with this. browsing can be slower than 2.1. also checkerboards a fair bit. Note: your first boot can take up to 5 minutes! So, there you have it folks. If you're feeling brave and you're comfortable sitting on the bleeding edge of ROM development, grab your Epic 4G and get to work.